Although Arseniy Yatsenyuk announced his resignation as the prime minister of Ukraine on Sunday, this could be part of a bigger political game and he might still stay as the country’s leader, Ukrainian political blogger Dennis Schedrivy told Radio Sputnik. One thing to know is that when it comes to Ukraine, nothing is really certain, the Ukrainian blogger explained to Sputnik. "I think we should all realize that this is part of a big game. 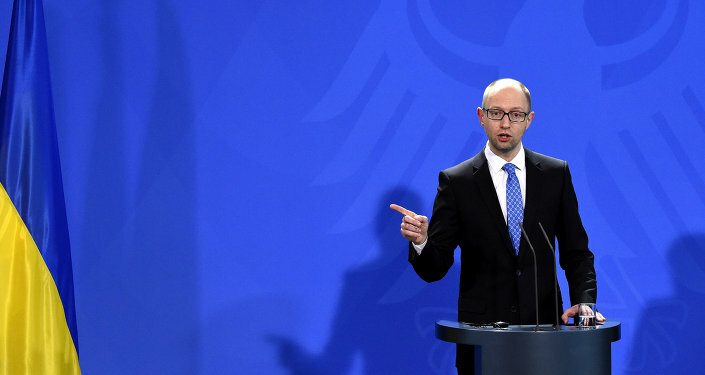 This isn't the first time Yatsenyuk tried to [resign]," Schedrivy told Radio Sputnik. Although he might have submitted the application for resignation, the Ukrainian parliament and President Petro Poroshenko still have to approve Yatsenyuk's resignation for it to be effective, the blogger added. Another key moment to remember is that nothing in Ukraine happens without the approval of foreign powers, in particular the United States which essentially controls the Ukrainian political sphere. 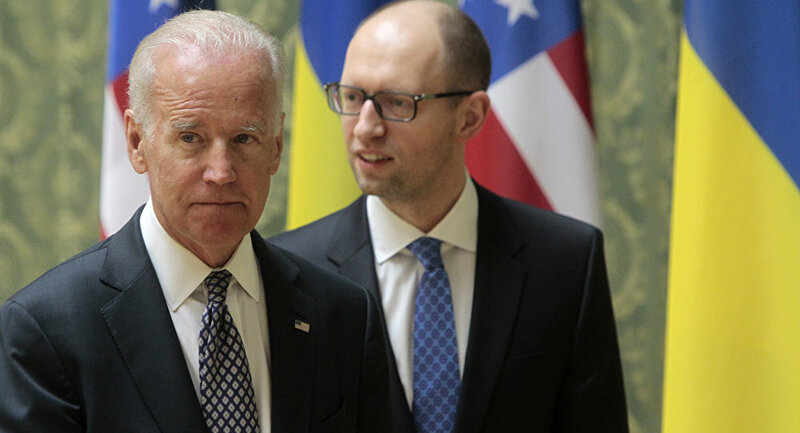 "The level of external control of the country is unprecedented and whatever happens inside Ukraine has to be in line with what the external control wants in Ukraine to happen," Schedrivy explained, saying that until the US government approves Yatsenyuk's move, nothing is really certain. Volodymyr Groysman, chairman of the Verkhovna Rada, was mentioned in local media as the next possible prime minister. Schedrivy said if Groysman ends up replacing Yatsenyuk, President Poroshenko will gain more political power since Groysman is his close ally. As of recent, things between Poroshenko and Yatsenyuk have been strained. In February, the Petro Poroshenko Bloc (the political party led by the president) said the work of the Yatsenyuk government was unsatisfactory and he supported a vote to dissolve the government. As a result, a no-confidence vote was called, which the Yatsenyuk government survived. Besides Poroshenko's own man, Groysman, Finance Minister Natalia Jaresko, born and raised in the United States, has also announced her willingness to become prime minister. The intrigue for the prime minister's post is expected to be hot in the coming days and weeks. However, according to Schedrivy, there is little hope that things in the country will get better with a new prime minister. "Whatever happens won't change things for better for common Ukrainians," Schedrivy told Sputnik.